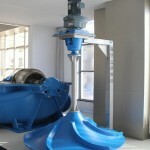 Why do the liquid of centrifugal pump back-flow? The flow of liquid is maintained by the energy gradient. 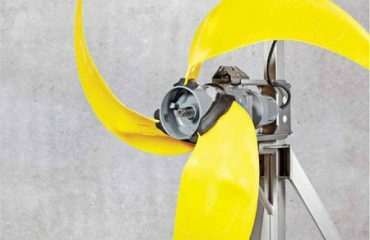 When the flow is reduced to near zero, the impeller may increase the peripheral velocity around the inlet due to the action of the inertial force of the liquid, so that the energy near the wall increases, which keeps the liquid flowing The energy slope necessary for the flow of the line no longer exists, so that the flow near the impeller inlet is reversed. 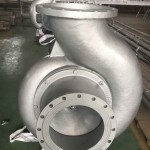 The centrifugal pump head is constant for a given impeller diameter and flow, whereas the moving head is a function of the flow. At some point on the head flow curve, once the lift head exceeds the centrifugal head, then the pressure gradient at these points , Resulting in the opposite direction of flow, that is, the phenomenon of reflow. 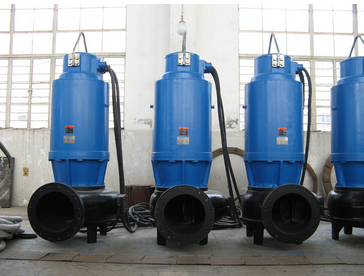 General centrifugal pump to set the return line, one can act as the minimum return line, when the user flow is less than the rated flow of 30% of the pump, the role of the protection of the pump; Second, the tank of material flow, Some places have dead zones, material aggregation, precipitation, deterioration and so on.